Do You Know Your Baby's MMR Vaccine Schedule? Do You Know Your Baby’s MMR Vaccine Schedule? 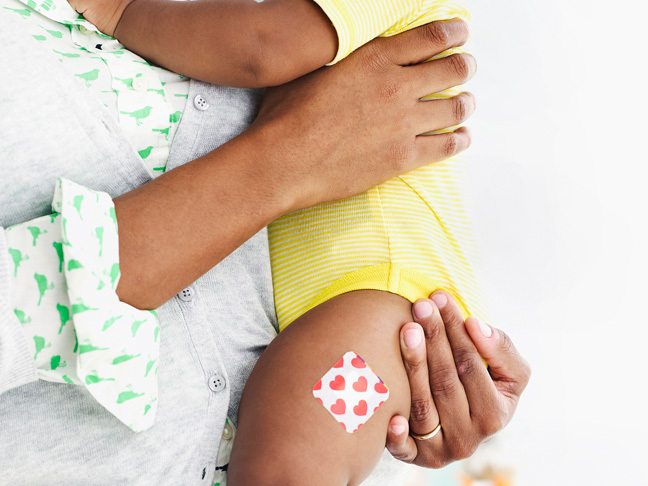 The Advisory Committee on Immunization Practices (ACIP) recommends a two-dose MMR vaccine schedule, to help protect children from measles, mumps, and rubella (also known as German measles). The vaccine gets its name from the first initial of the illnesses that it helps prevent. Each of these viruses can be dangerous to young children as they are highly contagious and can lead to serious, long-term health issues. Some parents are worried about the MMR vaccine side effects, but this vaccine is highly recommended for young children. What is the MMR vaccine schedule? The MMR vaccine schedule includes two doses. Typically, the first dose should be given between 12 and 15 months followed by a second dose between 4 and 6 years. The vaccine is not usually given to babies under 12 months because until about 1 year of age, babies are protected by antibodies transferred from the mother. However, if a baby will be traveling outside of the country, a dose of the vaccine may be given earlier. Why is the MMR vaccine recommended? Measles, mumps, and rubella are all dangerous illnesses and can lead to long-term health problems (and in some cases death) in children. Measles presents as an uncomfortable rash and it’s accompanied by fever and headache. It may cause complications, including brain damage, encephalitis, seizures, and death. Children who develop mumps often experience fever, headache, and swollen glands under the ears and jaw. Mumps can lead to encephalitis and meningitis. Males who develop mumps after puberty may be at risk for sterility. Rubella, or German measles, causes a reddish rash and discomfort. Pregnant women who get exposed to rubella are at risk for miscarriage; rubella can also affect the fetus, resulting in birth defects, including developmental disabilities. How is the MMR vaccine given? The MMR vaccine is given by injection. In young children, it is given in the thigh. What are the side effects of the MMR vaccine? Parents often express concerns about the MMR vaccine’s side effects. The vaccine does have some potential side effects, however not all children who get the MMR vaccine experience side effect. In young children, there may be soreness in the area of the injection, fever, and mild rash. Febrile seizures, which are seizures associated with fever, may occur as a result of the MMR. These, however, are rare and do not affect a child long-term. Other rare MMR vaccine side effects include swelling in the neck, temporary low platelet count, and allergic reaction. Is there a link between the MMR vaccine and autism? According to the Centers for Disease Control, research shows that there is no link between the MMR vaccine and autism. There was some concern in the 1990s because of the presence of thimerosal, a mercury-based preservative used to prevent contamination that might occur in multi-dose vials. Research has shown no link between thimerosal and autism. Although there is no link to autism, between 1999 and 2001, thimerosal was reduced or removed from vaccines due to the concern for children being exposed to mercury. Currently, some children’s vaccines have no thimerosal while others only have trace amounts. Thimerosal is still used in some flu vaccines, but there are flu vaccines available that do not contain this ingredient. How to Tell If Your Baby Has Webbed ToesIs The Pentacel Vaccine Right For Your Child?